There is so much to say about Faeries, and it will take me some time to share all those informations. Many ideas come to my mind, like, who are the Sidhe, the Brownies, what is Tir Na Nog,how to work with the Fae, how to build a Faery Altar, or how to connect with the Faeries. But first things first. I think it best to start with the question who are the faeries? 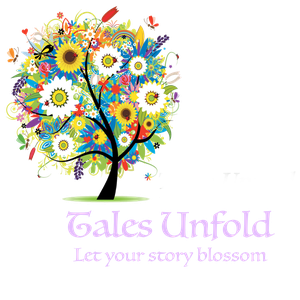 During the next months I will add more Blog posts here and together we can explore the realm of Faery. Who are the Faeries ? We find the Faeries throughout the world. Brittany, Scotland, Cornwall, Ireland, France, Germany, Iceland, Scandinavia and Eastern Europe are rich in Faery lore, but also in the US, Africa, Australia or New Zealand we can find stories and traditions about the Faeries. There are a lot of myths and tales about them, and most of them were written down in a time, where people were afraid of them, the Church demonized them and transformed them into something evil. In the Victorian era they became popular again, and they were pictured as small, cute and winged fairies. We see this type of fairy ( and here I spell it fairy not faerie to show you the difference) still today, we find them in Souvenir Shops as figurines with their striped over knee socks, or in the Disney movies of Tinkerbell. I have to admit, I myself have a lot of these figurines and I am also a fan of Tinkerbell, but those fairies do not represent the energy and ancient wisdom of Faery. Some New Age doctrines teach us, that they are only reflections of aspects of our personalities. But the faeries are living beings, with their own life, their own purposes and their own goals. They are the intelligence behind the living force of the planet. They are spiritual beings who existed before humans did. They are made up of elements, but they are not Elementals and they are not Nature spirits. They are free spirits, and for all the spiritual beings around us, they are the ones who are most close to us and they are often referred as our cousins. They can be unpredictable, because their morals and ethics are different from ours. Show them respect, their energy is ancient and powerful, but they also want you to be lighthearted, there is no need to fear them, they may seem cheeky, but they do not wish to harm us. The faeries are also shape shifters, they may appear in many different forms. When you start to work with them it is possible that they may take on exactly the form that you are expecting, or the opposite; as I said they are unpredictable. There are many different types of faeries; the brownies, the pixies, the gnomes, the flower faeries, the selkies, the dwarves, and so on. They all live in the Faery Realm, but we will come to this later and we will have a close look at all those different kind of Fae. Lets move on to where they live. The Faery Realm has many names, like Tir Na Nog, Summerlands, Otherworld, Underworld... and more. For all these names come from different backgrounds, still they mean the same thing : another "dimension". The Faeries are around us all the time, for they live where life is, where plants are growing, were nature thrives. But the Faeries themselves, and the world where they live in, vibrates on a higher frequency. There are doorways to enter Faery (the place) all around the world; liminal places, where we are able to have a glimpse if we are willing to open our heart and see through it. 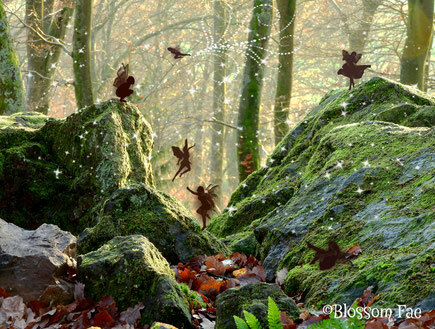 Those are places of high energy like stone circles, Glastonbury or ancient burial mounds, but you can also see the Faery Realm in a forest near to you, at the lake, where you go in summer to enjoy the sun and the fresh water, you can see it in the city park or on your balcony, where there is life, there is Faery. I will come back to this point in a following post, and I will tell you about some of those ancient sites. Something else to know about their world is that it is more fluid than ours, it is a land within and beneath the surface. How to connect with the Faeries ? There are so many ways to work and to connect with the fairies, and it will take some time and dedication to have a true connection to them. As time passes I will post more exercises of how to work with them, for now I just want to mention the first and the most important steps, actually the faeries really urged me to write this down immediately, I really didn't want to write anything today, but they can be very relentless. This is so essential for the work with Faery, take time, as often as you can, to go into a natural environment. Take a walk in the forest, if possible find a place that is untouched by humans. It's okay when you don't have a forest near you, go somewhere, where you can find something living but spend time outside, even if it's cold. Feel the elements around you. Help your surrounding natural environment, by taking a bin bag with you when you go out for a walk and pick up trash. Believe me, once you start looking you will find a lot. When outside, listen to the wind in the leaves, listen to the song of the birds, feel the air on your skin and smell the scent of nature. Put your cellphone aside for a while and enjoy being in the moment, allow yourself to be unreachable for a while. More and more often I read that we can ask the faeries for help, this may be for personal development, to find love, to loose weight, to get more money, and so on, sometimes this may be a reasonable request and if it is for a mutual goal I'm sure they are willing to help, but know, faeries are not here to fulfill our every wishes. Often I hear, that you just have to make an offering and tada... your wish is granted. I have to admit the idea seems intriguing, but as I mentioned before, faeries have their own life, their own purposes and their own goals, so I'm sure it is not enough for them, to just throw them the last cookie and hope that our dreams come true. I would like you to see them more as friends, and you wouldn't treat a friend like this. If you work with them in a respectful manner, and you need help, then ask them nicely and offer them something in exchange. Take care of the environment, use eco friendly products, don't use pesticides, take a look at your bathroom products, do you really need them all ? Are there better alternatives ? Allow a part of your garden to grow wild, and yes food is an idea as well, organic would be the better choice here. When the fairies see, that you really care about them and the natural environment, they will be inclined to help you. With those words being written, I have a faerie friend sitting on my shoulder, he's nodding in agreement seems happy, and tells me to finally safe, publish, and to enjoy the rest of my evening.